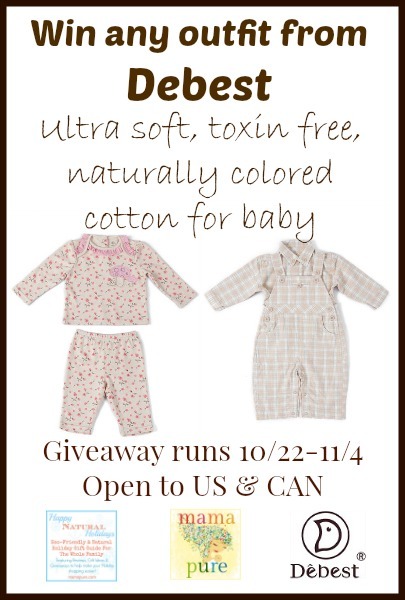 Debest Baby Clothes Giveaway! Ends 11/4. Debest garments are made with natural cotton so it is free of bleach and harmful dyes that are bad for the environment making them totally safe for baby’s skin. It is also much softer than cotton that has been bleached white since the fibers are undisturbed. They run in sizes 3-12months but are a tad on the large side. Read the full review of the “Ruffles In Bloom” Two-Piece Set pictured below (with the pink) by mama pure. Debest offers a selection of short and long sleeved bodysuits, sleepers, two-piece sets, and blankets. Their pricing ranges from $12 to $36 (based on current stock). 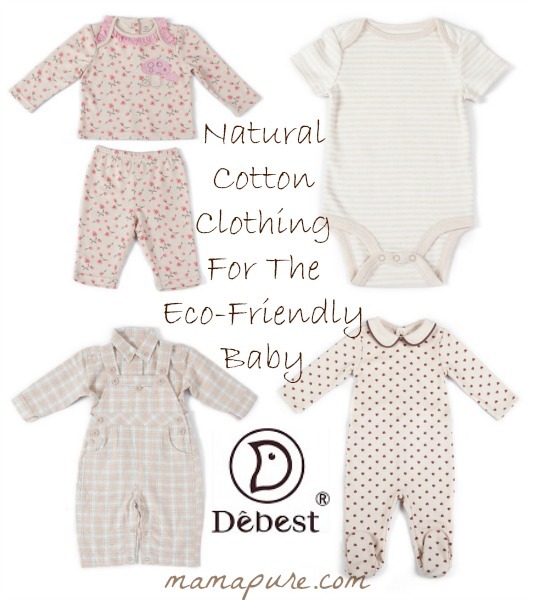 If looking for high quality, natural & eco-friendly baby clothing then be sure to check out Debest! This blog was not compensated for promoting this giveaway and is not responsible for prize fulfillment. This giveaway is in no way associated with Facebook, Twitter, Pinterest, Instagram, or any other social media. If you have any questions or concerns regarding this giveaway or the Milk Makin’ Mamas Event please contact Laura at www.mamapure.com.